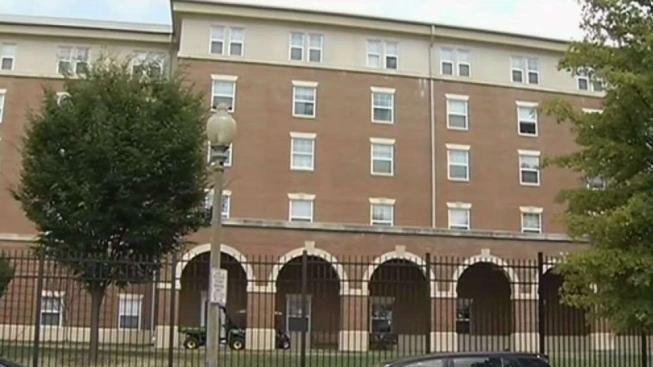 A U.S. Marine died after a shooting at the Marine Barracks on Capitol Hill. News4's Jackie Bensen tells what officials have said so far. A U.S. Marine assigned to the Marine Barracks on Capitol Hill died from a gunshot wound while on duty early New Year's Day, authorities say. The Marine was shot and killed early Tuesday in an apparent accident, police said. Marine Corps spokesman Chief Gunnery Sgt. John Jackson said the man did not shoot himself. An investigation is underway, and officials released few details on how the shooting occurred. The shooting occurred on the grounds of the Barracks at 8th and I streets SE. The Marines identified the deceased as Lance Cpl. Riley S. Kuznia. A Minnesota woman, Markelle Kuznia of Karlstad, told The Associated Press he was her 20-year-old son. She said the military has not provided details of his death. Kuznia says her son joined the Marines because "he felt it was his duty." Col. Don Tomich, commanding officer of the Marine Barracks, said in a statement that the command's priority was to care for the Marine's family and friends "during this challenging time." "We are truly saddened by this terrible loss," Tomich said in a statement. "Riley was a highly driven and goal-oriented Marine whose positive attitude set the example here at the Barracks. Our thoughts and prayers are with Riley's family and friends, and our priority continues to be taking care of them during this tragic time." Kuznia's decorations include the Global War on Terrorism Service Medal and the National Defense Service Medal. The Marine Corps said the incident posed no threat to the public.